hot, humid, and extremely frustrating. We had recently been turned down for an SBA loan and after several weeks of uncomfortable lease negotiations, had just walked away from our 6th potential property. "Can we do this? Is now the right time? Is this ever going to happen?" After working towards our dream for over a year, we were suddenly plagued by these questions. On top of all this, we still hadn't settled on the right name for our brewery. We were, in a word, discouraged. 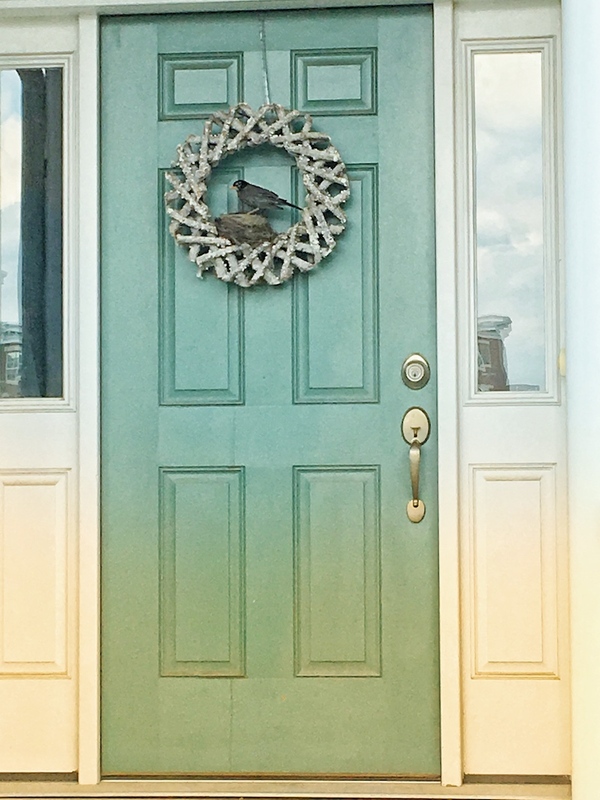 Around this time, we came home one day to find a beautiful robin's nest tucked into the wreath on our front door. We watched as the robin tended to her 4 tiny blue eggs, checking the nest every night to see if they hatched. We were lucky enough to watch them hatch, grow quickly, and jump from the nest over several weeks, and they became a sort of mascot for us as we continued to work on brewery planning. As the birds were growing, our luck was changing: our loan was approved by the bank and we found a property that had a lot of potential in the town of Audubon (which we took as a sign straight from our tiny robin friends). Within a short time, we had a great banking partner and a visionary landlord who was willing to work with us to bring our dream to life. We signed a lease for the Audubon property in December and started construction in March 2018….finally, these birds found a place to land!! It's obvious by now why we chose the bird theme for our brewery name, but you might be wondering about the bald part. This is all thanks to husband and wife co-owners, Joe and Abby Feerrar. Joe fell victim to male pattern baldness in his late (okay, mid-) 20's, and Abby has alopecia, a rare auto-immune disorder that caused her to lose all of her hair. We had joked about incorporating baldness into the name, but nothing seemed to fit until a friend put the pieces together and said, "Why don't you just call yourself the bald birds?" Eureka! At the end of the day, you're here for the beer, so: Why a brewery? WE LOVE CRAFT BEER and the artistry behind every pint. There is nothing better than enjoying a really great tasting beer with people you like. Our vision is for Bald Birds Brewing Company to be a place where you can enjoy exceptional craft beer surrounded by friends you know and friends you don't know yet, and feel like you are right at home.